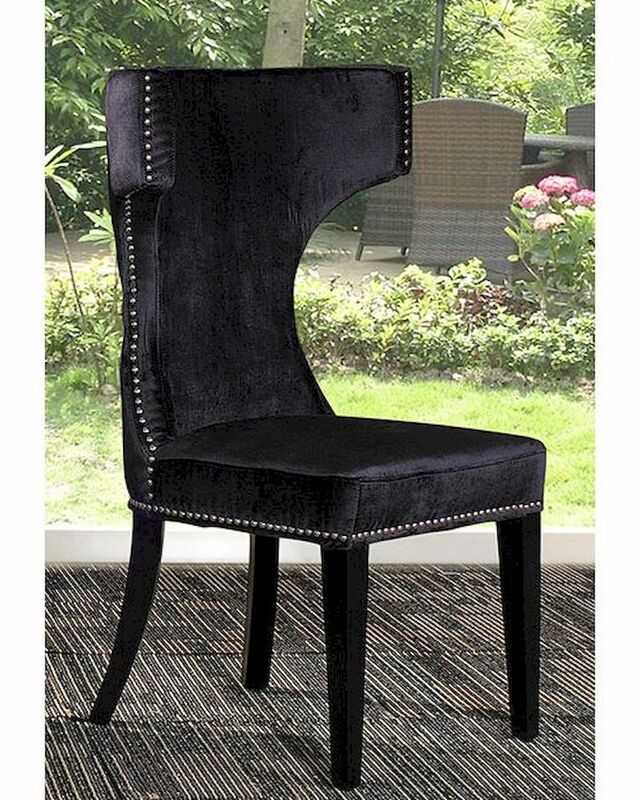 W25" x D21" x H40"
The rare form of the Dining Chair is upholstered in black fabric thatÍs soft to the touch and accented with metal nailhead upholstered sides. Black lacquered legs gleam against the fabric, creating a sophisticated design fit for any cultivated home. Dining Chair - W25" x D21" x H40"